First, I kid you not, Pride and Prejudice and Zombies It features "... the original text of Jane Austen's beloved novel with all-new scenes of bone-crunching zombie action." Finally, steampunk fans need to keep their eyes peeled for The Affinity Bridge by George Man. From a recent Tor post: "The book follows the adventures of Maurice Newbury, detective for the Crown, and his assistant, Ms. Veronica Hobbes, a team who sit somewhere between a classic Sherlock Holmes and Watson pairing and that of Doctor Who’s Doctor and one of his more capable companions. They inhabit a wonderfully-realized steampunk London, replete with clockwork butlers, airships in the skies, and zombies in Whitechapel." It's due from Tor in July. Welcome to He Said, She Said, a GLW feature in which a guy (Book Chic, a recent college graduate) and a gal (Little Willow, a bookseller) discuss books that appeal to both genders. With its dual narrative, Thirteen Reasons Why by Jay Asher is the perfect choice for a He Said, She Said discussion. In the story, a teenage boy receives a package from an unknown sender filled with cassette tapes. Once he starts listening to the tapes, he recognizes the voice as that of Hannah Baker, a classmate who recently committed suicide. She explains that the tapes should be passed from person to person, thirteen specific people who are related to her story in some way. Hannah and Clay share narrative duties. Did you prefer one voice or character over the other? Why? Book Chic: I didn't prefer one over the other. Both characters were evenly flawed and were also really interesting and realistic to read about. I liked reading through both narratives; both brought a great layer to the novel. Little Willow: Because she was talking straightforwardly, without any interruptions or descriptions aside from that which was observed or felt by Clay, I really heard Hannah’s voice as I read the book. I was drawn to her character more than Clay’s because of my inherent need to protect, help, and save people – even though I knew from the start that it was futile in Hannah’s case, as she was 1) dead and 2) fictional. Did you feel as if either Hannah or Clay was an unreliable narrator? BC: For some reason, I never wonder about reliability when reading a book, even for a class. It always surprises me when the question pops up. Perhaps I'm too naive but I tend to take things at face value, so if that's how it happened in the book, that's how that happened. Unless of course I'm reading a book about a compulsive liar or something, in which case it's known that the narrator is unreliable. So that's a long way of saying that I didn't feel either narrator was unreliable. I mean, maybe Hannah could have been unreliable either for a part of or the whole of the novel since she had already decided for the most part to commit suicide, so she could've been looking for any reason to go through it and twisted things to fit what she felt. But I don't think that was the case. LW: I believed both of them. I think Hannah relayed what she felt, and that Clay reacted accordingly. Hannah never whimpered or whined; she had been the victim of some cruel events and pranks, and she described them as she remembered them. Clay, meanwhile, was more of a semi-casual observer. He knew Hannah, and they weren’t strangers, but they weren’t close. As the book is set up, with him listening to the tapes Hannah left behind, he had nothing to gain from feigning ignorance or from being boastful. He was alone, listening, learning, and that allowed readers access to his feelings as well as to Hannah’s words. Do you wish he HAD been more of a bad guy, someone who was a perpetrator of a crime committed against Hannah? Or do you think he was? BC: I think that it was the right decision to have him be a good guy because otherwise, the reader's perception of him would have changed halfway through the novel. While it might be a good twist to have him be a bad guy or one that was more at fault than he thought, it doesn't seem to me like it'd be the right choice for the story. For one thing, it makes the story more relateable in a sense because Clay didn't do anything to really harm Hannah in any way, and neither did the reader so Clay's reactions to Hannah's story are closer to our own as we read (or listen) to the novel. And also, the point of the novel, in my opinion, is to show that even the slightest thing can lead someone even more down the spiral because you never know everything that's going on in someone's life. Your own choices, your own words, your own decisions and actions will affect others. If Clay had been someone bad who had really wronged Hannah, I don't think that point would have come across as well as it does the way the novel is. LW: I agree. When stories are narrated well by anti-heroes, that’s one thing, but when the narrator is someone utterly deplorable and/or the story is poorly written, I can’t stand it. I liked that Clay was more of an observer, so that readers could slip easily into his shoes (or ears, as it were) and discover what happened to Hannah. BC: I'm not really sure I had one. Everything about the novel was amazing, and there isn't one particular scene that sticks out in my mind. There's at least a couple. Actually, there is one I did really enjoy. I don't know if it's my favorite, but it's the one fighting to the forefront right now. It's the part where Clay is meeting his mom at the diner and I just loved how she didn't nag him or make him come home or anything like that; she knew he was going through something and needed his space to do it in. I also really liked the scene in the coffee place where Hannah used to go with the other two new kids (the names are escaping me now) and Clay was listening to the tape there and he found the photo in the scribble journals on the bookshelves. I'm not sure why that scene popped up, but it did and I did like it. LW: The journals. The photo. The map. The window. The journey, all of it. The last tape. LW: I read the book in 2008. You listened to the audio in 2008. How was that experience for you? What do you get out of audio books that you don't get from the printed page? How were the performances? BC: I read the book as well in early 2008 and reviewed it too. When I finally found a job, it was just doing data entry so it's not like rocket science and therefore I could listen to stuff while working. Most of my co-workers listen to audio books while they work, so once I gave up on music CDs after like three days, I got some audio books out from the library. One of them was 13 Reasons Why because I'd wanted to listen to it for the longest time since I'd heard it was done with two narrators (one for Clay and the people in his narrative, and one for Hannah and the people in her narrative) and I thought that would be so cool. Plus, I definitely think that with this book, it's more powerful to listen to the audio book since the whole plot hinges on Clay's listening to the tapes; with the audio book, you can listen to the tapes along with Clay, which really brings the story to a whole new level. Toward the end of the novel, just listening to Hannah as she slowly gave up with the last few tapes seriously made my chest tighten because I was just feeling so close to Hannah and her situation that it hurt to listen to it. I think that listening to an audio book may give the reader more of a sense of the characters because you're listening to them talk and interact, as well as simple things like pronunciation (I was listening to Wicked Lovely and some of the characters' names were said differently than how I had read them) and how certain things were said, in terms of emotion and inflection. Plus, you can finish books faster by listening to the audio books, which is always good. I do like reading and listening to the same book- been listening to a lot of books I've already read and it's fun to revisit them in this format. I really enjoyed the performances, particularly the one from Debra Wiseman, who did Hannah. She had the PERFECT voice for Hannah, and it was exactly how I pictured it sounding like in my head when I read the book. The guy doing the voice for Clay, Joel Johnstone, did a pretty good job, though I wasn't a huge fan of the women voices he had to do every so often as part of Clay's narrative. I definitely recommend this audio book (as well as the print version) to everyone. It's such a powerful story in both formats, and is definitely one that will stick with the reader once they're done with it. Check out previous He Said, She Said discussions at GuysLitWire. Read Book Chic's review of Thirteen Reasons Why. Read Little Willow's interview with Jay Asher. So I'm trolling through the "new releases" shelf in the teen department at my library, as I am wont to do, when a small, slim black volume catches my eye. PUNK ROCK Etiquette is the title, and I'm already curious because the words and the fonts, well, they don't really go together well, if you see what I mean. The book is written by Travis Nichols, a cartoonist who posts original comics on his website as well as drawing cartoons for Nickelodeon Magazine. Travis breaks down potential band members into the following categories: Tortured Poet ("You might have to stop him/her from cutting little thumbholes in his/her long-sleeved shirts"), Guitar/Drum/Other Hero ("Pros: Skills, skills"), Rock Star ("Cons: Potentially a total prick, likely a drunk or druggie, wears sunglasses indoors (and not in an ironic way)"), Techie ("It's good to have one of these people around. "), Rich Kid ("Pros: They . . . have money. And maybe even a pool"), Poor Kid ("give a band cred, and they're usually REALLY into music"), Delinquent ("if your band's Delinquent dabbles in anything violent or something that could get YOU in trouble, steer clear"), Whatever (cons: "About as exciting as a sack of doorknobs"). He notes that categories often overlap. E.g., "Tortured Poet/Rock Star: Usually a 'front man.' God, what a dorky term. If it's a guy, he probably wears eyeliner." Information on starting a band includes pointers such as "Appearances are pretty important", with follow-up tips to help you sort out if a band is any good based on their appearance. (Tip: "If anyone in the band you're about to see is wearing one of their own T-shirts, leave NOW.") There's an entire chapter devoted to recording sessions, with good tips about changing guitar strings and drum heads before recording, as well as tips on what can and cannot be accomplished by the recording tech, another on selling your music, and even one on selling merch. "After CDs/records/tapes, which should come before anything else, the most common forms of band merch are shirts, buttons, and stickers." What follows is a tutorial on how to screen print your own t-shirts, with a reminder NOT TO WEAR YOUR OWN BAND'S SHIRTS. There are tips on how to act on stage, what not to do to look like a weenie, and on the importance of supporting other bands (particularly touring bands). And there are tips on how to book gigs. And dudes, I've been there - when I was in a rock band in the late 80s, I was in charge of booking gigs for a while, and it can be a hard, hard task to accomplish. I so could've used these tips. And there are tips on booking a tour: how to find places to play, what to pack, where to stay, whether to engage in a "roadmance" or not ("It's a scientific FACT that being on tour makes little hormone bubbles fizzle in your brain that make you want to get your smooch on. Yes, that is the scientific way to put it.") Oh - bottom line on roadmance? After "Don't be a creep! . . . And don't be a trollop. If you go around making out with people every time you put the van in park, you will get a bad rep. Your band will get a bad rep. . . . But if you're available and legal and you meet someone nice, let the roadmance commence." A must-have for aspiring bands everywhere, or folks who'd like to be in an aspiring band. Atilla “Tilly” Gokbudak is a Turkish-American, ex-reporter who used to be my competitor on a small-town government beat in rural Southwest Virginia. Nowadays he’s a playwright/actor and an English teacher. “If you can imagine Quentin Tarantino teaching English, then you know what my classes are like,” he says. Q: Can you describe your ethnic/cultural/social status when you were 17? A: I was like the native foreign exchange student in my high school. My dad , who had died when I was in the seventh grade, was from Turkey, so everyone thought out of me as "The Turkish guy" even though my mom is from Rock Hill, SC. I couldn't buy a date, but I did get invited to parties. Q: What kind of books were you reading then? A: I was really fascinated with true crime books like "Cruel Doubt" by Joe McGinnis back then. Even though it wasn't about crime, I liked Bob Woodward's book on John Belushi called "Wired," which was very unsettling, back then. I really identified with Belushi very strongly, and come to think of it, it seems odd to think that I've now outlived him since he died at age 33 in 1982. And, there were Stephen King novels. But, I'm not sure I finished either "Christine" or "Cujo." I did see their movies. Q: Do you think those were good books now? A: I am still a better reader of non-fiction than fiction, but my interests in books have focused a bit more towards politics, which is perhaps as disturbing as true crime! 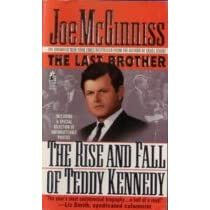 Ironically, I just read Joe McGinnis' book on Ted Kennedy, which was written about ten years ago.. It was awesome! Anyone interested in politics, regardless of their chosen party, should read it. Q: What would you tell 17-year-old Tilly he should read for fun? A: The 17-year-old Tilly Gokbudak should read Barry Gifford novels like "Wild at Heart" for fun. It's what I read for fun now. I am amazed that it is actually hard to find books by Gifford in bookstores and libraries. "Night People" is actually my favorite novel by him. My sister got it for me in Baltimore_ of all places_ about eight years ago. I just recently reread it. Q: Since I know you love movies even more than books ... what movie was at the top of 17-year-old Tilly's list? What about your current list? A: I was a die-hard movie geek even when I was in high school. Movies were an escape from my very painful existence back then. By the time I was 17, I had seen virtually all of Woody Allen's films from the 1970s. "Bananas," his most outlandish comedy, was my favorite film of his at the time. Today, I prefer "Manhattan." I also loved Terry Gilliam's "Brazil" and Stanley Kubrick's "Full Metal Jacket" as well. I watched them both quite often. Though I did watch movies like "Porky's" and "Bachelor Party" so I could seem cool, I think I considered "The Godfather" to be the best movie ever made when I was a teenager. Today, it ranks as my fourth favorite behind "The Graduate," "King Kong" (1933) and an obscure 1966 Japanese film called "The Pornographers." So you're not at all into fantasy novels. I understand. There are enough hardships and struggles in the real world; we don't need to veneer it with magic and monsters. Well, I have a book for you, one that features danger as well as good people endeavoring to overcome years of suffering and cruelty. Maybe you don't mind a bit of magic. Magic is like jalapeños on that burger, right? Too many and it ruins the taste. So let's say there's just one dragon in the book. And one magician, but he's the nastiest ever to play the game. Otherwise the story's a familiar one. A father, a bit foolish, who's greatest mistake is favoring one son (though he does love both his boys). The cruelty of ignorant people. The loyalty of good friends. Even a dog helps to save the day. I have a book for you. And if you're a guy who happens to really enjoy reading the fantastical, the one who'd be adding horseradish to that jalapeño burger I mentioned before, well, I have a book for you as well, one about a demonic man who cares only for chaos, possesses a seeing stone, and uses horrible poisons that burn a man from the inside out. Of course, you're no fool. You've realized I'm talking about just one book, one book that can satisfy so many readers: Eyes of the Dragon. The author happens to be rather well-known: Stephen King. Eyes of the Dragon was released in 1987. I was eighteen when I first read it. On that edge of being not-so-young, not-so-old. I was tired of being a teenager. And Stephen King didn't write for kids (I was wrong, and later learned this book had been done as a present to his daughter and a dear friend). Oh, but he wrote an amazing fantasy. After only reading a few pages, I began to trust the unnamed storyteller who narrates the tale of forthright Peter, first in-line to the throne of Delain, his envious brother Thomas, and the most wicked sorcerer ever to cast a spell, Flagg. I loved that it seemed like Stephen King was telling me the story late at night, besides a roaring fire, and pouring mead or wine or some medieval-sounding drink into my glass. In the book, Flagg realizes that there's no way he can destroy the kingdom from within if Peter reached the throne, and the real story begins after Peter is blindsided and unjustly imprisoned in the castle's tallest tower, the Needle. And Peter suffers. When his face is terribly scarred, I winced at the damage to his looks (yes, I was shallow at eighteen). I'll admit, I developed a crush on Peter, the young prince, the hero of the story. Handsome, regal, kind, understanding. If I couldn't be Peter (and no one is so flawless), I wished to have him as a close friend... maybe more. He reminded me of those boys in high school who had everything. All that envy. Maybe I was a bit more like his younger brother, Thomas than I knew. Of course, we're not likely to be tricked by evil magicians these days, right? Maybe. But think how scared you'd be to inherit a crown at twelve. Wouldn't it be easier to allow someone else to make all the decisions for you? And as Thomas grows into an unhappy young man, the people of Delain are taxed and punished by Flagg, who's aim is the downfall of the kingdom and things soon look very grim. Like all teens, I had a fondness for suffering. I think it happens when you're not too happy with yourself or the world around you. And when you read about a hero who's been tortured, hurt, and spent years imprisoned in a cold cell, you're filled with a weird blend of heartache and and masochistic glee. And when he reminds you of those boys in high school who have everything, well, you're a bit glad he suffers, too. But now. Well, it's been too many years since last I read the book. When I was asked to join Guys Lit Wire, I remembered Eyes of the Dragon. So, I reread these past few days. And while Peter was still handsome and forthright and good, I sympathize with Thomas more. Thomas is the far more human hero of the book. In a story with dragons and magicians, it's important to have a character readers can understand. Thomas suffers more than his brother, too, because he makes choices. Like real people do. And sometimes these choices are good, and sometimes they're not. We have to live with the consequences. Six of Hearts is the best agent in the Deck, a vigilante group trying to reclaim the values of their city prior to its takeover. Six has a 100% success rate on his missions. He doesn't like smalltalk and his every action is based on logic. He is only sixteen years old. But that's not what makes him different. Six was created in a laboratory, part of an experiment called Project Falcon. He's stronger than regular humans, has better eyesight and hearing, heals faster. He is amazingly healthy in a city marked by its wretched environment and the poor health and shortened lifespans that came with the pollution. Only one other person knows the truth about Six, and Six would like to keep it that way. On a mission for the Deck, Six discovers that the Lab's experiments may not have ended with the fire that destroyed their workspace sixteen years ago. It was the fire that allowed Six to escape the Lab as a baby and he has tried to remain off the Lab's radar ever since. But the Lab is run by ChaoSonic, the corporation that took over the City and now controls almost every aspect of life there. Staying off their radar is tough, especially when you're busy infiltrating and stealing from some of their buildings. And Six just received a new mission that will send him straight back to the Lab. 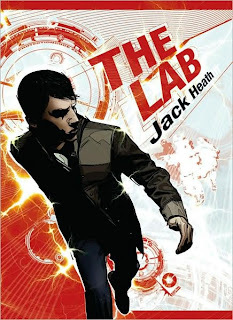 The Lab by Jack Heath is a dystopian action novel. Think The House of the Scorpion meets Alex Rider, written by a teenager. (Wikipedia shows Heath's birthdate as August 23, 1986, making him 19 when The Lab was published in Australia.) In other words, it's a very cool book. There is a lot of action in The Lab. A lot of it. And because the story is dystopian, the action seems even more exciting, from the technology and the fights to the car chase to even Six's ability to get out of situations that a normal human would not be able to escape. I also thought action scenes helped to illuminate Six's character. Okay, so there isn't exactly a lot of character development here, but besides providing thrills, they serve to highlight how logical he is and his physical superiority, how different he is from other people. The action scenes are also varied enough that they never got boring or felt repetitive. Heath's writing is fast-paced, the escapes and scenarios clever, and the dystopian setting gives the story added substance and allows room for some philosophizing. After finishing The Lab, I still had a few questions about Six, the Deck, the Lab, and ChaoSonic's takeover of the City; there were a couple of subplots that didn't seem to be resolved. A quick look at Heath's website shows that a second book about Six was published in Australia in 2007 and I hope Scholastic publishes it here in the U.S. soon. I am a huge steampunk fan for all sorts of obvious reasons: cool retro Victorian settings, awesome clothes, and wicked cool planes, trains and automobiles (among many other awesome inventions). I just finished a book and graphic novel which are both not only firmly set in steampunk settings but also include main characters based on Sherlock Holmes. The mix makes for great reading in both these cases and two books that I can easily recommend. First up is The Adventures of Langdon St. Ives by James Blaylock. This collection of short stories and two novels follows St. Ives, scientist and member of the Explorers Club, as he battles his arch nemesis, Dr. Ignacio Narbondo. Recounted by Jack Owlesby, who is introduced in the first story "The Ape's Box" and assists St. Ives in adventures both on earth, in space and back in time, the stories carry all the requisite intrigue of a Sherlock Holmes mystery but carry an extra layer of menace as they are less ruled by the laws of physics (as we know them anyway). In one of my favorites, "Two Views of a Cave Painting", Blaylock pokes fun at expectations writing, "Time travel isn't news anymore. Mr. H. G. Wells has put it to good use in a book which the casual reader would doubtless regard as ficton." There is a lot of running around fog-shrouded London, hiding things, discovering things, battling zombies, and people who have been driven crazy but maybe aren't. With J.K. Potter's startling realistic illustrations, the collection is exactly what you would want from the combination of Dickens and Wells (and I mean that in the most modern language kind of way). Supremely cool. In Warren Ellis's Aetheric Mechanics, Doctor Robert Watcham has returned home from war to rejoin the work of his dear friend, the esteemed investigator Sax Raker. Watcham is still suffering from his battle experiences but gamely jumps into the latest murder to grip London (after being flown back to his lodgings in some sort of hovering device and being regaled about the latest space battles of course). In short order Raker observes a body, discovers a spy and unlocks a plot to take over the world (or at least London). In the midst of all this the city is being bombed by Ruritania and Raker finds himself being inexorably drawn into the war (something he finds to be most pedestrian). There is a HUGE twist ending that then has an awesome double twist that is pure Ellis. The artwork is full of all sorts of steampunkery goodness along with everything you would expect from a Holmesian character. I also liked the addition of Watcham with his war-time flashbacks and realistic PTSD. If you like steampunk both of these titles will be winners and I can't recommend them enough. Sometimes life is all about perspective. What we see, what we think, what we feel, depends on how we see, on our unique viewpoint. While this may seem like common knowledge, I’d say the opposite is true. Most people, by far, have no clue how much their unique perspective influences their daily lives and the decisions we make. And far too often people assume how they see and what they see is exactly how and what others see. Philosophically, this extends far beyond just seeing and feeling; our perspectives create our everyday “truths,” our realities. If one hundred people go to a birthday party, do they experience the same party? They may eat the same cake and sing the same song, but could they be experiencing one hundred different versions of the same birthday party? If each of us creates different meaning from a book or a painting, then don’t we do the same when we shop for groceries or watch a ballgame or attend a birthday party? 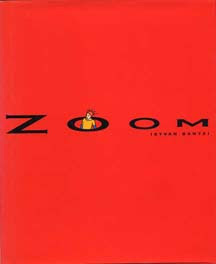 Zoom is a picture book without a single word or even a narrative. There is no story; just pictures. Open the first page and you see a drawing of some red triangular shapes over a white background flecked with blue. What is this? Turn the page and you find out. The image has backed up and you see the red triangles were actually part of a rooster’s comb. Flip the page again and the next image has backed us up further. Now we see two young kids looking through a window at the rooster. Flip more pages and soon we see we’re on a farm. No big deal. We see pictures of farms all the time. But turn a few more pages and suddenly we’re not on a farm at all. It’s a model of a farm, a toy farm. Flip again and now we see it’s not a toy farm at all, but actually a picture of a toy farm being held in someone’s hand. And so it goes. As we flip through the pages our perspective changes, our truth changes. When we see a farm we have one reality; when we see a picture of a farm it’s an entirely different reality. Where this finally ends up I’ll leave for you to find out on your own. This is brilliant stuff. And you can find similar work in the sequel, Re-zoom. While neither book tells a story, they have provocative ideas for the reader to think about. Look these books up on Amazon and the editorial reviews target them for up to third and fifth grade. That’s ridiculous; these are marvelous and provocative books for adults, let alone young adults. Defiance: "Our revenge... is to live!" I love action movies, but nothing is better than a good action flick that's based on a true story--which is why I've always had a soft spot in my heart for movies like the Great Escape and Apollo 13 (and hey, even Domino and First Blood). So I'm excited to see Defiance, which has an almost literally incredible true story as its inspiration: The movie follows four Jewish brothers and how they fought back against the Nazis during WWII. There were many Jews in similar situations who simply fought the Germans head-to-head (guerrilla-style or by teaming up with the Red Army), but the eldest Bielski brother--played in the movie by Daniel Craig, the latest James Bond--decides that survival is the best weapon. 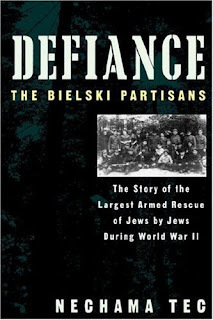 They set out to save as many fellow Jews as they can, and by the end of the war they amazingly manage to build an armed community in the forests of Belarus with over 1200 people. To read of the Bielski brothers and their fight to create a safe haven in the midst of a hell-on-earth evokes in me something utterly primitive and deeply personal, a roiling wave of fear, awe, humility, and admiration. And outrage, too--that such a story was not better known. Here, clutching captured Schmeisser submachine guns and “potato-masher” grenades, were Jewish fighters whose deeds were as stirring and brave as any I had ever encountered. So check out the movie--and the book! (And even the movie's informative Web site.) And if you're looking for another action-packed, true story, watch the Oscar-winning Glory, also directed by Zwick, about the first all-black volunteer company in the U.S. Civil War. The books behind that movie were One Gallant Rush, Lay This Laurel, and the letters of Robert Gould Shaw. Labels: From Book to Movie , War - What Is It Good For? My most constant disappointment with fantasy novels is a scarcity of subtext. Like Lawrence says, legends about werewolves, witch covens, and unicorns gave people ways to explore the psyche long before modern psychology. Every monster man ever invented was, beneath all the fur and fangs, just a reflection of himself, his worse fears and darkest impulses, every intangible quality hat made him human. Too many fantasy stories don't do that wonderful source material justice. (When I say “fantasy,” I’m talking about urban fantasy, horror, and any story with supernatural elements.) All those "deep in the blood and soul" myths are hung up like crêpe-paper bunting. They’re pretty, sure, but they’re just decorative. All this is a round-about way to say go read Steve Berman’s Vintage. I was nervous reading Vintage. Steve said some very nice things about Tripping to Somewhere, and I really, really wanted to be able to say nice things back about his book. Luckily, he made it easy on me by writing the kind of book you want to tell everybody about. 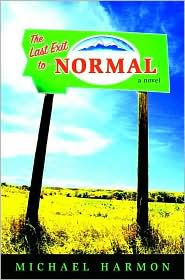 His narrator is a teenager whose parents have kicked out of the house after they discover he’s gay. Feeling out-of-place and miserable, he meets the one person lonelier than him, a ghost who’s spent forty years walking the same stretch of highway, trying to get home. The narrator’s internal struggles reflect the external weirdness, and that enhances both. Then Steve turns the whole damn thing inside out. As the living boy grows and changes, the dead one remains, literally, a trapped soul. Go buy it. Now. Seriously. Steve announced a few days ago that Harrington Park Press, Vintage’s publisher, has been sold, which means that this extraordinary book will likely fall out of print soon. Go buy a copy while you still can. Every magical beastie sprang from a human mind. We built Frankenstein’s monster, breathed fire into the dragon, and hatched the basilisk egg. That makes us, with all our trials and small victories, more of a marvel than any of them. Some authors seem so crazy brilliant that I imagine I would turn into a blithering idiot if ever I had the chance to meet them. Shaun Tan is right up there on that list for me. Of course, it doesn't help that not only is he an amazingly talented writer, but the man is one of the most gifted illustrators working right now too. Everything he has created feels important to me. Not a pretentious capital a "Artistic" kind of important. It's more like reading Tan's books lets you glimpse his thoughts on some of the deepest questions about what it means to be human. Reading a new Shaun Tan book is almost a spiritual experience. Enter Tales from Outer Suburbia. You'll find fifteen short stories, all illustrated with trademark Tan art, featuring strange happenings in the fringes of civilization (aka - suburbia). It's really impossible to say what's better in this slim volume - story or images. Both will captivate and charm you, and make you wonder about the extraordinary things out there in your own backyard, hiding in the places you think you know best. I could spend ages just staring at the end papers (always sure proof that you've got something remarkable in your hands). You'll see strange and wacky doodles of critters and landscapes and everyday objects, some linked to the stories in the collection, and others just there to make you laugh and wonder. Pure quirky delight. I won't reveal much about the stories, since so much pleasure comes from being surprised by their strangeness the first time you read them. Favorites: Eric - a story about an unusual foreign exchange student and being open to appreciating other cultures and experiences; Make Your Own Pet - every kid's dream come true: instructions for how to make your own kitty; Undertow - what happens within a family when something completely unbelievable shows up on their front lawn. Tales from Outer Suburbia explores how magic and meaning so often lie just below the surface of everyday life. We must be open to wonder and be ready to celebrate things that don't make sense. Tan suggests that every place, even a place as seemingly mundane as the suburbs, has hidden gifts to offer those who are ready to accept them. This is a collection for artists and dreamers, and for anyone in need of a jolt of inspiration. So, I just spent two weeks feeling incredibly sick. My wife always bugs me every year to get a flu shot, and, while I think it's a good idea in general, she treats it like if we collectively as a family don't all get flu shots, we'll die of the plague and any illness that has the potential to enter our house should be treated like a CDC quarrantine emergency. So, despite getting that flu shot, I was laid low by "flu-like symptoms." Evidently, even a flu shot won't prevent you from feeling incredibly bad for several days, as you drag yourself through a fever-induced delerium trying to just basically function on a mechanical level while the rest of the world cranks up to eleven around you because the holidays are over and we got to get on the ball, you know--new year, new president, new underwear dude! BUT! But and however: illness of this sort does allow for some comforts--you do get to steal away from many obligations, social and otherwise. I had to call in sick to work one day, and I didn't have to run errands, go meet folks, and otherwise leave the house much, which left lots of time for reading. I remember when I was in school and I got sick, the upside of getting sick was staying home in bed and reading big piles of stuff. I have two strategies for selecting sick day readings: the first is one enormous book, and the other is to get a big stack of comics to plow through all day. Luckily, over the past several weeks, I've been able to do both. That's when I spotted Barry Hughart's Eight Skilled Gentlemen. FIrst off, the title: what an odd, suggestive, intriguing title! None of the words "doom," "shard," "haven," etc. within a half-mile of this book. Second, a quick glance at the cover blurb told me this was based on Chinese mythology--that certainly sounded different. And the hero was a crotchety old man with a big-hearted galoot as his sidekick. How could you go wrong with this book! After I devoured Eight Skilled Gentlemen, I immediately hunted down the other books in the series: Bridge of Birds and The Story of the Stone. All three books were equally wonderful, funny, filled with adventure and intrigue. The main characters, Master Li (a scholar and a rogue who's fond of describing himself as having "a flaw in my character") and Number Ten Ox (the narrator of the books and the heart and soul of the stories), are vivid, entertaining, and wholely unlike 99% of fictional protagonists. The stories are set up like mysteries, and they draw on the incredibly rich background of Chinese myth and folk tales, and they are otherwise very hard to describe because they are so unique in the world of fantasy genre. Man I loved those books. And I was continually frustrated and dismayed by the fact that Hughart never seemed to write a new one. Copies of the books are rare and hard to find, and whenever I ran into someone who'd read them, it was like running into an old acquaintance--someone with whom you could strike up a conversation about old times and old friends, and think wistfully about what might have been were there more tales to tell. Recently, the fantastic Subterranean Press released an omnibus edition of the three books titled The Chronicles of Master Li and Number Ten Ox which includes a new introduction by Barry Hughart. In it, Hughart explains that it wasn't poor sales or poor treatment on the part of his earlier publishers that ended the series. No, it was that he didn't want to fall into a rut. Which, as sad as it is to think there'll be no more Master Li and Number Ten Ox books, I have to respect. After all, isn't the fact that these books were different from all the rest what drew me to them in the first place? Instead, I feel lucky enough to have taken some time while I was feeling incredibly sick and settle in with some old friends who made me feel, if even for a little while, so much better. Note: This collected edition from Subterranean Press is evidently already sold out at the publisher; however, older editions of the individual book (as well as this and one older collected edition) are available from used outlets and libraries. Jackson, clearly bristling, told the newspaper that negotiations to put him in the role of Nick Fury have broken down because "there seems to be an economic crisis in the Marvel Comics world." It now appears that "somebody else will be Nick Fury, or maybe Nick Fury won't be in it" when it comes to Iron Man 2, The First Avenger: Captain America and The Avengers, the announced slate of Marvel Studios projects through 2011 that might have a natural spot for the character. Fan favorite Jackson was actually used as the model for the Ultimate Marvel version of Fury, which took the white, grizzled, aging commando with salt-and-pepper hair and re-imagined him as a younger, bald African American. I have to be up-front about this: I can't stand stories about guys (and gals) in tights and capes with super powers battling super villains in city-destroying battles. I never could identify with anyone in those comics, I never felt there was anything noble in the secret identities of the do-gooders, the peril of the planet was always so artificially ridiculous. Which isn't to say I don't know the Marvel and DC universe down to every Kirby crosshatch and Ditko posture, that I didn't watch reruns of Batman religiously on TV, that I haven't cringed in anticipation over who would be cast in every movie adaptation of every superhero movie. It's gotten that you almost -- not quite, but almost -- are not able to claim a full cultural literacy if you can't defend your preferred Batman, Superman, or Hulk. But there are more superheroes than the ones in comics, and some of those I can get behind with just as much fervor as any comic book geek (which I once was, I must also admit). There are superspies with and without class, vampire slayers of many ages who aren't all named Buffy, superchickens and ape-men, bionic men and women, flaming carrots and men of concrete, and a whole pantheon of intergalactic star warriors. The universe has become so think with superheroes and villains that sometimes it's impossible to tell all the players without a score card of some kind. And to the rescue come the good people at Penguin books who publish a whole collection of titles under the moniker of Rough Guides. Specifically, The Rough Guide to Superheroes. Originally begun as a series of travel guides aimed at the backpacker set, Rough Guides have since come to include many cultural reference titles that include movies, music, and food. Among them is this overview of the world of heroes (and villains) in popular culture. In the chapter on the origins of Superman in 1931 is an historical overview of how history has shaped superhero stories. The mythology of superheroes is rich -- a life-saving journey as a baby works for both Moses and Superman. In fact the Bible is full of characters with superpowers. And what, exactly, is the difference between Arthur's Excalibur and a Jedi's light sabre? Masked identities cover everyone from Batman to Zorro to the Lone Ranger, and they're all mentioned here as well. 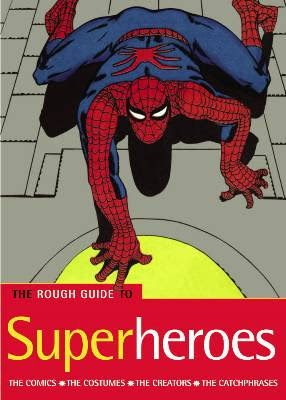 The Rough Guide to Superheroes isn't exhaustive, but in its compact 320 pages it can give any novice a fairly complete picture of the major players, while providing the expert supertracker with a quick reference to their favorites. Separate sections for villains as well as for TV and movie heroes prevents the book from being based entirely on comic books, and a great many literary figures appear as well. It might have been nice to have an index for speedier reference, but part of the joy of book like this is being able to flip it open to any page and learn something new. There's more information per page than many books twice its size. If there is a downside to this book its that it was published in 2004 and doesn't include all the recent developments in superhero movies and their sequels. And with the publishing industry in peril -- Penguin shuttered its New York office of Rough Guides last month -- its doubtful this book will receive the sort of updates the annual travel guides receive. That said, this is still a great collection of facts, trivia, history, and all-around scorecard for all the player in the superhero universe. And it fits easily in the back pocket of your jeans. Since next week is the inauguration of the 44th President of the United States, I thought it seemed like a fitting time to take a look back at the election that brought us to this point. In June of 2004, he released a humorous book of politically-oriented rhyme entitled Obliviously On He Sails: The Bush Administration in Rhyme. The title of the book comes from this rhymed couplet: "Obliviously on he sails/With marks not quite as good as Quayle's." (For those who miss the reference, Dan Quayle was the Vice President of the U.S. under George Herbert Walker Bush from 1989-1993; Quayle had a reputation as a poor student and was ridiculed for misspeaking in public). In 2006, in time for the mid-term elections, Trillin released a second book about the Bush Administration: A Heckuva Job: More of the Bush Administration in Rhyme. In November of 2008, Random House released Trillin's follow-up title, Deciding the Next Decider: The 2008 Presidential Race in Rhyme. In this volume, Trillin examines the 2008 U.S. Presidential race starting as far back as the mid-term elections in 2006, when names started to be bandied about of various candidates in 2008, including a number who shot themselves in the foot (metaphorically) by dint of involvement in various political scandals. To thousands, cheering in the bitter cold. To think the nomination's what he'd get. They said, he might collapse, like Howard Dean. Experience was what he seemed to lack. And to be frank, they pointed out, he's black. So John McCain now seemed to be at bat. The Christian Right was less than pleased by that. He failed to wear his Jesus on his sleeve. They'd slaughtered both his family and him. Believed his turn was now long overdue. A somewhat different John McCain was there. His willingness to call BS BS. It's clear that wisdom's not just time in grade. *Gary Hart campaigned against Fritz Mondale for the Democratic nomination in 1984. Mondale defeated Hart after he used a popular ad slogan from Wendy's ("Where's the Beef?") during a televised debate. Mondale, in turn, lost to the current incumbent, President Ronald Reagan. Hillary Clinton's claims about Obama were similar to those Mondale made against Hart. Come June, 2008, however, it became clear that Clinton would not be able to secure her party's nomination, and she stepped out of the race to back Obama. Trillin levels criticism at unsavory campaign tactics, at television pundits (dubbed "Sabbath gasbags" at least twice), and at various smear campaigns that spread virally. Your rival first, as somehow not benign. Was something other – not like you and me. A terrorist who's playing us for fools? At least a guy who went to Muslim schools? The Democrats' one over-arching aim? Maintain McCain and Bush are just the same. George W. for yet another term. Was, in his heart, the same as Forty-Three. The criticism in the press was withering. McCains ads, many said, were a disgrace. The View called him a liar to his face. Yes, Rove, the master – said they'd gone too far. And then, the economy went south. Noted Republicans started backing Obama, McCain failed to score an "October surprise", and come election time, Barack Obama was elected the 44th President of the United States. Trillin closes the book after Obama's victory speech in Chicago, Illinois, with a short poem about race relations. "Race in America, November 5, 2008"
The curse is not broken, as some would deduce. The curse is so strong we may never break loose. Set forth by the man who said, "I have a dream." If you're looking to purchase any of the three political titles referenced in this post, check the HUMOR section of the bookstore first. Although Trillin is discussing politics using poetry, humor seems to be the #1 takeaway when reading these books. Why Summerland in the middle of winter (winter in my part of the world, anyway!)? Several reasons. I wanted to write about listening to books, and also wanted to explore a bit how I find things to read. It’s also to amuse myself—winter is just beginning as I write this, and when you read this, I’ll be enjoying the heat and humidity of tropical Brazil. I was aware of Michael Chabon’s Summerland when it arrived at my library in 2002, but mostly because it was a big deal that this adult author had written a teen book (this was before the current craze of seemingly every author writing a teen or children’s book). I was a bit curious, because it seemed to involve baseball, but there was also what looked like a flying car on the cover, and it just didn’t seem like my thing. Fast forward to 2008, when I met my new friend Aarrun. One of the things I ask when meeting new people (particularly guys) is what they like to read, and if I’m not familiar with the author, I take the recommendation as an opportunity to try out a new book and get to know a new person better (I first read Kurt Vonnegut due to recommendations from friends, and thank them for it). Aarrun mentioned Chabon as one of his favorites, and the audiobook version of Summerland happened to pass through my hands shortly thereafter, so I decided to give it a try. I don’t have a long commute, but find listening to books generally much more satisfying than trying to find something on the radio to hold my interest. I’ve particularly liked listening to books that might be slightly outside of what I normally read. Listening to a book seems to make it a bit easier for me to try something new—maybe it brings in that comforting feeling of being read to as a kid, I don’t know. I don’t read much fantasy (I prefer sf), mainly because I have a hard time keeping what always seems to be the cast of thousands of characters straight, and because the names are, for me, usually hard to pronounce, which jars me out of the reading experience. With an audiobook, at least I know how all the names are said! I figured if I was going to like a fantasy novel, one with baseball as a major component had a good chance. I grew up in Massachusetts, and still consider myself a member of Red Sox Nation, even if I’m deep in Rockies country now. I cried in 1986. I rejoiced in 2005 and 2007. Baseball has a great nostalgia factor for me. Summerland is basically a fantasy quest novel. Our very reluctant hero is Ethan Feld, who is recruited for his save the world mission by the Farishers, residents of the Summerlands (a parallel world to the Middling, which is where we are, and the Winterlands). Ethan becomes more determined to complete his mission when he finds out that his inventor father is in the clutches of Coyote, who is trying to use his skills to bring about the end of the worlds. Along with his Little League teammates Jennifer T. and Thor, Ethan picks up help along the way from a Sasquatch that they liberate, a werefox, a tiny giant, and other assorted characters–all who make up the baseball team charged with saving the world. Over the course of their journey, they play many games (and meet many American folk heroes) and encounter numerous other challenges, but the final game, the one against Coyote and his team, will determine the fate of the worlds. I loved all the little character things (Ethan’s Little League teammates & competitors call him Dog Boy, because whenever he goes to the plate, he’s hoping for a walk), the detailed descriptions of the worlds, and the rhythm of the book—you can feel the pace pick up as they go from the top of the first inning to the bottom of the ninth. Chabon has his own take on baseball history, including things like the origin of the DH rule. The audio version of the book is read by the author, and he does a great job (alas, not all authors do), and you know you’re getting exactly the meanings and pronunciations that he meant. Even the fun word play comes across well. If you’ve never tried out an audiobook before, take a chance. The next time you’re going on a trip, check one out from the library, or download one (many libraries are starting to offer this service for free! ), load it onto your MP3 player, and experience a book in a whole new way. If you’re having a hard time with an assigned book, try listening to it and see if that helps. I’ve even gone back and listened to books I’ve already read and enjoyed, just to experience the book again. Summerland is a great choice, but there are audiobooks out there for whatever your taste is (I’ve recently enjoyed listening to John Green’s books). Check out the Audie Awards for the names of some of the best ones, and for the names of some of the excellent readers out there. Audiofile magazine also has reviews of various titles as well as interviews with readers and producers that talk about the process of translating a book to the audio format. Take a break from winter. Visit the Summerlands. Where do you figure the name Clark Kent came from? Consider two Jewish kids from Oh io, the children of working class immigrants. Did they pluck the most WASPiest name in the world out of thin air? I don’t think so. Before the comics were really comics and before these two Jewish kids from Ohio created the super-hero, the closest thing anybody had was in the pulp magazines of the 1930’s. The two biggest characters in the pulps: Doc Savage -- full name: Clark Savage, Jr. -- and star of pulps and of the most popular radio show of all time, the Shadow -- real name: well, on the radio it was Lamont Cranston, but in the original pulps, Cranston itself was just an alias. His real name was Kent Allard. So, you've got Jerry and Joe thrilling to the adventures of a pair named Clark and Kent . . .
All of this is just to illustrate what a debt that comics in all their multifarious genres (super-hero, crime, romance, horror) owe to the pulps, which comics themselves made obsolete. If you’d like to see where all the supery, batty and spidery guys came from, you’re in luck . Nostalgia Ventures is reprinting the original adventures of Doc Savage and the Shadow. Doc, the philosophical and tonal antecedent of Superman was a “physical superman” trained from before the day he was born to the peak of human perfection for the exclusive purpose of making a finer world. The best place to start with him would be Volume 14: The Man of Bronze & the Land of Terror (by Kenneth Robeson aka Lester Dent). This includes Doc’s first adventure and introduces his motley crew of assistants and his fast-paced “science adventures.” The Shadow was a darker, nastier Batman right down the line. If you’re just jumping on board, start with Volume 3: the Red Blot & the Voodoo Master (by Maxwell Grant aka Walter Gibson), which features the Shadow’s showdown with one of his greatest foes and showcases his merciless and disturbingly efficient methods. You better believe that comics return to their forebears with tokens of homage quite often. 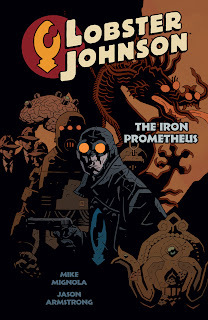 The very best of these (and I’m not exaggerating, this thing is fantastic), is Lobster Johnson Volume 1: the Iron Prometheus (by Mignola, Armstrong and Stewart). A spin-off of that big red galoot Hellboy, Lobster Johnson was a mystery man 100% in the tradition of the Shadow, taking on mysticism, science gone bad and Nazi spies with two swift fists, a blazing .45 and his burning Lobster’s claw. This volume (the first of many, I fervently hope) has cybernetic hoodlums, giant apes, hooded assassins and a Fu Manchu mastermind. It also has the pared down story-telling and breakneck action the pulps were famous for, but fused with a sophisticated modern perspective which creates multiple levels of engagement and offers some intriguing, and genuinely creepy moments. More than almost any other art form, comic books are linked with their past in a way which makes an examination of said past all the more enlightening and meaningful. Have a look. Buzz: The Science and Lore of Alcohol and Caffeine, by Stephen Braun, is one of the two best drug-education books I know of (From Chocolate to Morphine: Everything You Need to Know about Mind-Altering Drugs is the other.) Braun, an award-winning science writer, blends science with colorful lore. He tells about research on these psychoactive substances and what happens when they are ingested. A lot of recent research goes against conventional wisdom: alcohol is not simply a depressant, but is instead "a pharmacy in a bottle.” At low doses, it increases electrical activity in the same brain systems affected by stimulants, influences the same circuits targeted by Valium, and causes the release of morphine-like compounds known as endorphins. Alcohol can produce reactions from euphoria to dark, brooding hopelessness. Braun reveals why wood alcohol causes blindness, and explains the one-drink-per-hour sobriety rule (It takes the liver an hour to disable the half ounce of pure alcohol found in a typical drink.). Buzz is an informative as well as amusing look at the two most popular drugs in the world. The book includes an excellent list of references and suggested reading. I've read it twice now, and recommend it highly. I think my favorite book of the year was Paper Towns. I'm a huge fan of John Green and one of the highlights of my library life was driving him around for an author visit and talking about the music of Uncle Tupelo. But Paper Towns has already been reviewed here so I'm going to talk about a similar book that is a few years older. As Simple as Snow by Gregory Galloway. Like Paper Towns, Galloway's book revolves around a eccentric and possibly unknowable girl and the relationship she has with the protagonist. When Anna (who prefers to go by Anastasia) moves to the unnamed narrator's small town she certainly stands out both in appearance and deeds. She wears the uniform of the outcast goth, but refuses to be labeled. She is creative and driven and curious about everything, especially what happens after you die. She is interested in Harry Houdini and writes obituaries of everyone in town. As their relationship deepens and they grow closer the narrator realizes how little he really knows about Anna. And when she disappears a week before Valentine's Day, her dress laid out near a hole in the frozen river, he wonders if he ever will know what happened to her and why. As Simple As Snow is anything but simple. A book of contradictions and mysteries, not just within the lives of Anna and her classmates, but in the world they inhabit. It is a clever, twisting mystery but also a tale of young love and loss and how little we know about the secrets kept by those close to us. Around 23 years ago, Orson Scott Card published Ender’s Game, a YA novel about a boy trained as a soldier to fight in a war against an invading alien species. The novel launched an extensive series of books that followed, across solar systems and centuries, not only the original protagonist, Ender Wiggin, but several other major characters from that first novel. Now, in a new story set immediately after Ender’s stint as a battle commander, Card returns to the subject of the teenage soldier and explores the years in which Ender grows into a full-fledged adult. SPOILER ALERT! If you’ve never read Ender’s Game, and you plan to, stop reading this review now. There’s no way to discuss Ender in Exile without exposing certain plot points in Ender’s Game. So just move along. There are plenty of other reviews to hold your interest on this site. Better yet, step away from the computer, go to the bookstore or library and get yourself a copy of Ender’s Game. Let me assure you it is a far far better novel than Ender in Exile anyway. The cover describes Ender in Exile as "The All-New Direct Sequel to Ender's Game" but it is really an expanded retelling of the final chapters of Ender’s Game, when after destroying the “Buggers” (or, more properly, the formic species) Ender departs with a shipload of colonials to establish a new human colony on a former formic world. While on this new world, he discovers hidden there a cocooned larval formic queen and establishes a psychic link with it to learn why the formics attacked humans in the first place and why they allowed Ender to destroy them. He then writes an influential work called The Hive Queen and the Hegemony and establishes himself as a sort of pseudo-religious figure called the Speaker for the Dead who reveals the truth, good or bad, of a person’s life after their passing as part of the mourning process for survivors. In Ender’s Game, all this is glossed over in just a few pages and not much of it is explored in other books in the series. So it ought to be fresh and interesting material for a new novel. But in Ender in Exile, Card explores almost none of it, and when he does, very little is illuminated. Instead, the first fifty pages of the novel are a collage of letters and discussions between various characters trying to determine whether Ender should return to Earth. Everyone attempts to manipulate everyone else, until a great deal of tedious blathering leads us to understand that pretty much no one, not even Ender himself, thinks that his return is a good idea. Instead, at the tender age of thirteen, he will be appointed governor of a new settlement planet named Shakespeare Colony. His sister Valentine volunteers to go with him. The next several hundred pages (or is it several hundred thousand?) log the colonists two year space flight (because of relativity, the Earth and those who live there will have aged 40 years in this time). Much of this flight involves conniving and counter-conniving between Ender and the ship’s captain who hopes to steal Ender’s governorship from him once they reach the distant planet. This is all done through endless formal dialogue in which characters pretend to be nice to each other and debate about what’s appropriate speech and behaviour for various ranks and ages of military and civilian personnel (it’s like while Card was writing Jane Austen sneezed on his laptop keyboard). There’s a timid ship-board romance between Ender and one of the colonists that never threatens to go anywhere and there is a significant amount of paper dedicated to describing a production of The Taming of the Shrew that the colonists engage in to amuse themselves. A lot of people point out, over and over again, in praise and in disgust, that Ender is only a young teenager. What is most disappointing about the book, overall, is its lack of vivid imagery. Ender’s Game is a memorable book because it is full of images that sear themselves into the reader’s mind. There are the brutal encounters of Ender’s childhood, the stark descriptions of Battle School, the range of Battle School students, the glimpses of the Buggers themselves, and the strange and vivid dream-like landscape in Ender’s leisure-time escapist video game (to name but a few). Ender in Exile, by contrast, almost manages to avoid creating any visual images at all for most of the book. Card doesn’t even give us a decent picture of the colonists’ ship. Finally, about two-thirds of the way through, we’re introduced to an intelligent grub which metamorphoses into a metal mining beetle. Ender hones his telepathy by speaking to these beetles, which prepares him for meeting the hive queen. That part is kind of cool and there are a few other surprises in the waning chapters, but, unless you have an extreme tolerance for the tedious, you’ll never get there. Given that you are not an absolute die-hard Ender fan, I’d say it’s safe to avoid this latest installment. If you’ve read every other book in the series and you want to make it a clean sweep, pick this novel up and see how far you can get before you are driven mad. It’ll make for a new kind of Ender’s Game. Halfway through Robin Wasserman's novel Skinned is a passage that may be the most frightening thing I've read in ages. I don't mean "scary" in the sense that monsters or violence are scary; I mean terrifying in its implications, both for the characters in the immediate story and the society they live in, which is our society pushed forward a few nudges. Lia Kahn (although the name is vaguely ethnic, it's clear from both the cover and description in the text that this is a blonde, white beauty) is the elder daughter of a wealthy businessman in the near future. When she is horribly injured in an accident, her personality is downloaded into an anatomically correct android body, and she becomes a "skinner," one of a growing subculture of similarly recreated teens. Some, like Quinn (left physically ravaged by an accident when she was three) embrace this new existence and turn it into a typical teenage clique, modifying their artifical bodies to denote their independence from "orgs." And of course, religious fanatics claim these beings are abominations and protest their very existence. "They [her parents] let their daughter die, I'm just some replacement copy. And if I do it again, they'll make another copy." My life has been directly touched by suicide, and I have strong feelings about it. What I don't believe is that anyone, parents or otherwise, should have this level of power. In a way, the thought of being forced to live is almost as awful as being deliberately killed. This is the core idea at the heart of Skinned. But I can't recommend the book whole-heartedly. It has the same central flaw I see in a lot of YA books: the assumption that their target audience is only interested in stories about rich, beautiful teens. Lia is a daughter of privilege as both a human being and a skinner, and all her worries are separated from any sort of concern about day-to-day survival. As I read, I could only think how much more powerful the story might have been had it happened to a daughter of the middle class, or even the child of a monetarily poor family. What if resurrecting their daughter wiped out the family's income? What if they had to make payments, and she could potentially be repossessed? This opens a wide vista of ways to comment on our current society, but Wasserman instead gives us a Bionic Gossip Girl, watering down the premise with the implied assumption that Lia, no matter what, will be taken care of. It's The Hills crossed with Monster Garage, with those shows' same sense of entitlement. There is a subplot about the first skinners, black inner-city kids given Caucasian bodies because that's all the corporation makes, but the "rich white girl learns the sufferings of the dark-skinned poor" trope is as trite as they come. Still, the heart of the story remains utterly, totally frightening. And Wasserman, a prolific author of YA novels', nails the character's voice and mileiu with broad strokes and telling details. This is the first of a trilogy, and I'm intrigued enough to check out "Crashed" when it appears in the fall. As for whether guys will like it, that's a tough call. It's a traditional girl's book, and not just because the hero is female. The issues are primarily emotional, and there's no real plot. Not that there needs to be; I was actually delighted that it didn't turn out Lia was secretly created to be a super-powered weapon, or that some conspiracy wanted her for nefarious purposes (although there's a hint that future books may, alas, take that cliche'd route). Wasserman writes as realistically as the story allows, and this works in its favor. But it's a book to make you think, not excite or thrill you. Or, in my case at least, to terrify you. Three years ago, Ben Campbell's dad announced that he was gay and the family imploded. Ben's mother walked out and Ben was left with a father who, in Ben's eyes, selfishly destroyed the family. For two years, Ben did everything he could to drive his father crazy: he smoked pot, dropped acid, got drunk, got arrested, skipped school, smoked more pot... and was always truthful and open about his activities. One year ago, Ben cleaned himself up. For almost an entire year, he didn't get in trouble at home or school, stopped smoking pot and was, as he said, "somewhat civil". Everything was going pretty okay. Until, that is, the incident that resulted in his father and his father's husband packing themselves, Ben, and all of their belongings into the family minivan and moving the three of them from Spokane to The Middle of Nowhere, Montana (population 400), to live with Ben's dad's husband's mother. That's right. I said Montana. The real stand-out in The Last Exit to Nowhere is Ben's voice. He is angry, sarcastic, argumentative, extremely bright, curious, honest, rash, stubborn, romantic, depressed, heroic, funny and honorable -- sometimes all within the space of two pages. Although a couple of the plotlines felt a bit overly dramatic/TV-movie-ish to me*, the heart of the book -- Ben's relationship with his father and his own coming-of-age -- felt nuanced and emotionally real. His relationships with the other characters, the aforementioned TV-movie plotlines aside, rang true as well, as did the interactions between the secondary characters. It's a quick, easy read, but unlike a lot of quick, easy reads, Michael Harmon didn't forgo depth for readability. There's a lot to think about here. Highly recommended to fans of Chris Crutcher. *And contrary to what one of the characters says, I don't think Dwight Yoakam has ever covered Pink Cadillac, though he does cover Dave Alvin's Long White Cadillac**. If I'm wrong, let me know -- I'd love to add to my collection. **Dwight is wearing what might be the world's tightest pants in that video. Scary. Clay Jenson comes home one day to find a mysterious box full of 7 cassette tapes, each side with a number 1 to 13. After putting one in his dad's old cassette player, he's surprised to hear the voice of Hannah Baker, who had committed suicide just a few weeks prior. The tapes detail her descent into suicide, and Clay spends the rest of the day and majority of the night listening to each tape and going to the places that she describes in them. Each tape talks about 1 of 13 different people, adding up to thirteen reasons why Hannah decided to end her life. In Jay Asher's spectacular debut, he goes back and forth in the narrative between Clay's thoughts and dialogues with others and Hannah's voice on the tapes. The book in and of itself is a brilliant premise, and Asher follows through with a great storytelling skill. Vivid details, even in Hannah's tapes when she talks about each of the reasons, and a raw realism really catapult this novel to becoming one of the best novels of 2007. I highly recommend everyone pick up a copy. It is a very powerful book. Note: I wrote this review back in late January 2008 for my myspace blog. I am posting this review here now because of two reasons: 1) I recently listened to the audio tape version and wanted to discuss it a bit and 2) Little Willow and I are planning on doing our next He Said, She Said about it, which will be posted sometime this month. Anyway, the audio book version is fantastic. The guy and girl who did Clay and Hannah were wonderful in their respective roles. Hannah especially was exactly how I pictured her talking when I read the book- sort of this raspy, sarcastic kind of voice. I also have to say that listening to the audio book was much more powerful than reading the book, which is quite a feat since the book itself is quite powerful. Listening to both of these characters go through their journey is heart-wrenching and emotional, especially toward the end when Hannah is nearing the end of her reasons and tapes. I was seriously about to cry, which would not have been good since I was at work at the time. I felt this tightening in my chest as I continued to listen. Like Clay with the tapes, you just can't stop listening. You need to keep going and listen to them all with very few breaks. That's all I've got for now. Look for the next installment of He Said, She Said soon!